Ah, skiing, gambling, nightlife. And beauty! 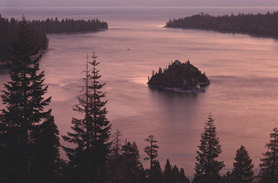 Lake Tahoe is nestled in the mountains on the shore of a tremendously deep lake. Something here for everyone! !